When Is It Safe to Apply Grub Killer on New Grass? Homeowners who have just planted some new grass to fill in spots in an existing lawn that have been damaged by grubs may wonder how long they must wait till they can safely put down a grub killer, such as GrubEx? 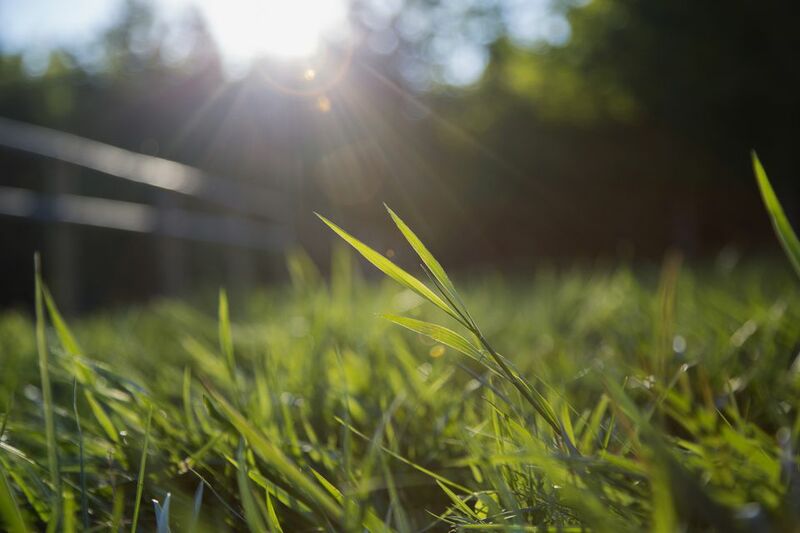 The lawn care experts at John Deere indicate that, while there is no set length of time to wait, it is easier to let the new grass become established first. It is very important that you always follow label guidelines with whatever product you choose to apply, including when you apply grub killers to new lawns. Label guidelines will tell you all of the information that you need to know relative to rates, timing, target species, etc. Also, be sure to follow all of the safety requirements and precautions noted on the label. In general, most insecticides will not harm new grass, given that their chemistry is designed to target insects and not plants (herbicides would be another matter). New grass, though, should be treated carefully to ensure proper establishment, and some maintenance practices that will be needed for proper establishment of grass may conflict with the label guidelines for an insecticide. It is especially important to water new grass thoroughly. Your lawn's need for water may conflict with product instructions for your grub killer. Since most plant protectants require proper application at a specific time relative to the life cycle of the target species, consider this timing and how it relates to the development of your new grass. If it is possible to wait with your application until after the new grass is established, then that may be the best route to follow. A grub is what the larva of various insects is called, especially beetles. So just as butterflies and moths have larval forms known as "caterpillars," the Japanese beetle, for example, has a grub as a larval form (because they curl up, grubs appear to have C-shaped bodies). The Japanese beetle (Popillia japonica) is that common garden bug that is about 1/2-inch long and has metallic-bronze and green coloration. Its grub is about 1 inch long, white, with a brownish-orange head. The grub of the June bug (Phyllophaga spp.) is also commonly found in lawns. It gets its name from the fact that it crawls out of the ground around the month of June in many areas. June bugs (also called "June beetles") are a bit bigger than Japanese beetles and are reddish-brown. Their grub is 1 1/4-inches long, white, with a reddish-brown head. The grubs, themselves do damage, eating grass roots, thereby damaging the grass. If you spot large dead patches of grass in your lawn, grubs could be the cause. If they are Japanese beetle grubs, once they mature into adult beetles, they may eat the leaves on several of the plants that you are landscaping with, including rose bushes and Japanese maple trees. Likewise, adult June bugs eat the leaves of landscape plants, such as oak trees. They also damage grass blades. Moles eat grubs, so having grubs in your lawn is an open invitation to moles to come on in and set up shop. Thus grub control is a central pillar in mole control, too. Another pest that eats grubs (and that you may, therefore, be attracting to your yard if you allow grubs to flourish in your lawn) is the skunk. Grubs live underneath the soil surface, so their presence is not readily apparent to the casual observer. One sign that your lawn is infested with them is provided by skunks. These pests will dig down through the grass to access grubs. If you spot holes in your lawn and cannot account for their presence in any other way, skunks (and, therefore, indirectly, grubs) may be the culprit. Unhappily, we usually don't know we have grubs till it's too late and we spot patches of dying grass. Homeowners who wish to be proactive can remove a square of sod to see what is going on down there in the soil. If the dirt is riddled with grubs, then you probably have a grub problem. You shouldn't worry if only a few are present here or there. But you should start worrying if you find 7 to 15 grubs per square foot. What Types of Lawn Grasses Are There? How Do You Mow Those Cool Checkerboard Patterns Into Your Lawn? Pennington Smart Seed Dense Shade Mix - Yay or Nay?